We offer in-centre and in-community events and activities. Join today to meet and make friends, experience great activities and have fun over a hot lunch. We offer a variety of programs and activities each month. Whether you are after gentle exercises, interesting excursions, informative talks, arts and crafts, looking to join a Men’s Group or much more, we have something for you. We also offer Domestic Assistance and Community Access services which help frail, older people to maximise their independence. My Aged Care can assess your eligibility for a funded place in our services under the Commonwealth Home Support Programme. Our sing-a-long provides a great opportunity for seniors to socialise and enjoy an afternoon of entertainment and bingo. A variety of entertainers, including Sing Australia, Karaoke and Belly Dancing, perform each fortnight and a jukebox plays a variety of music, including all the old-time favourites. 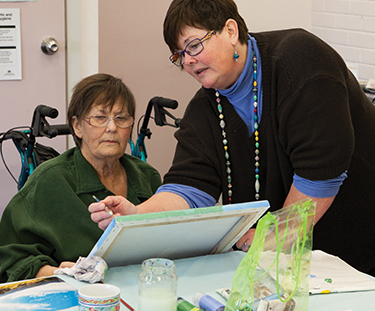 The Women’s Neighbourhood Group is a friendly, informal social group for women of all ages. The Group supports the Australian Federal Police and Canberra Hospital with donations of hand-made Trauma Teddies and rugs. 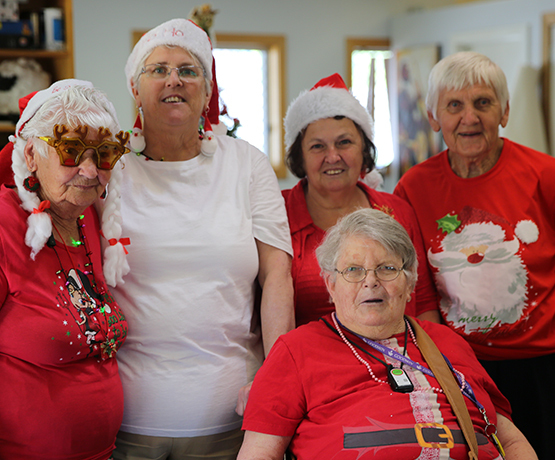 The Group also provides donations of handmade adult bibs and crochet knee rugs to residential aged care facilities.